The tread carrier tray does not include the thread spools pictured. Looking for a more efficient way to store and carry your thread spools? 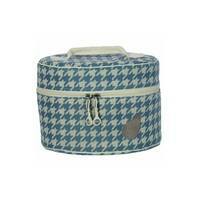 Look no further than BlueFig's Thread Carrier Trays! 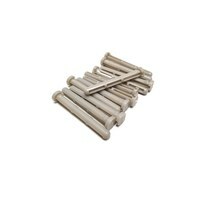 Each tray can hold up to 24 pins, accommodating either 12 large spools or 24 small spools. Thread trays can be stacked and carried in the Mini Pearl Carrier Case. 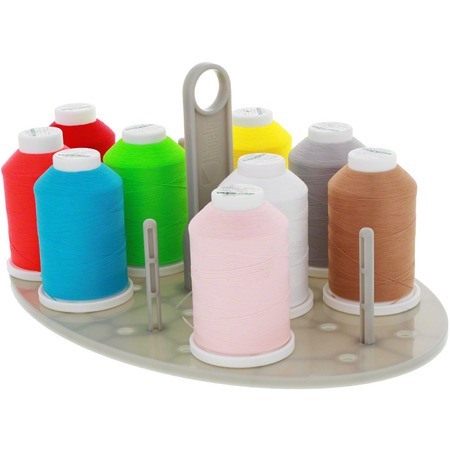 Each Mini Pearl Carrier can hold two thread trays giving you room for 48 small thread spools or 24 large spools. The Mini Pearl Carrier and additional pins can be purchased separately.